BMWs Wertans will move to PSA. PARIS -- BMWs top executive in France, Nicolas Wertans, is moving to PSA/Peugeot-Citroen, where sources say he will play an important role in creating sales and marketing synergies between the Peugeot and Citroen brands. 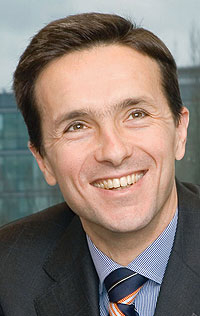 Wertans, currently president of BMW France, is a 40-year-old Frenchman and former Ford of Europe executive. He is expected to join PSAs upper management group, alongside manufacturing boss Roland Vardanega, Peugeot managing director Jean-Philippe Collin, programs head Gregoire Olivier and an as-yet unnamed managing director of Citroen. A PSA spokesman said Wertans will not be replacing Gilles Michel, who resigned as managing director of the Citroen brand last month to take over the French governments new sovereign wealth fund. PSA CEO Christian Streiff is overseeing the Citroen brand until PSA chooses Michels successor. Before he joined BMW, Wertans spent the 1994 to 2005 period in a variety of posts with Ford of Europe in France, the UK and Switzerland.